Normally I love the Kathy Reichs books. I can barely wait to get through them because of how excited I am for the story. This one I could barely get through. I think I would have sent it back early if I had another book. It has all the failings of the more recent Scarpetta Novels by Patricia Cornwell. Everyone one who is "mean" or who appears "better" then the main character of course ends up being a criminal. Blech! I really hope the books after this in the series that I haven't listened too don't continue on this trend because it gets boring real fast knowing what is going to happen in a mystery not because of clues but because "big meanies" are always the ones who did it. 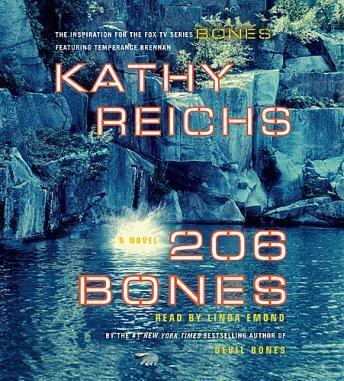 This may be my favorite Kathy Reichs so far. The story is great, and keeps us interested, and Linda Emond is the best storyteller for Temperance Brennan. Check this one out! Great Bones adventure! The chemistry weaves around this tale of mystery. Great read. As always, an excellent book. Thrilling. I really hope that she & Andrew Ryan get back together again. I am looking forward to reading the rest of her books. Boring , couldn't figure out what the author want to tell. This is by far one of the worst books I have ever read. I still couldn't tell you what it was about! Won't be reading this author again any time soon! If I could have given it zero stars, I would have.